The flowers of the Peruvian daffodil are noteworthy both for their intricate design and fragrance. These 4-inch flowers are borne atop 2-foot, leafless flower stalks in midsummer. 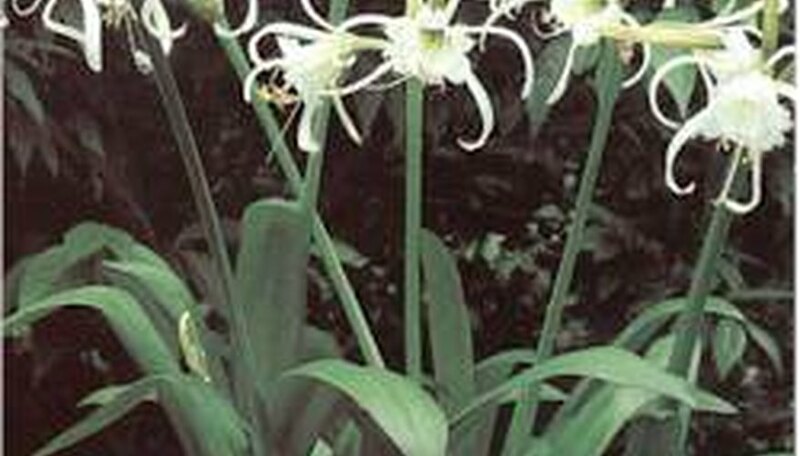 Each stem may hold 2 to 5 flowers, which are white with green stripes. The leaves are straplike and may be up to two feet long. Depending upon the species, it may be deciduous or evergreen. Peruvian daffodils are hardy in zones 8 to 10, but can be grown outside this range if the bulbs are dug and stored in a frost-free location over winter. Choose a location in full sun or very light shade, and enrich the soil with well-rotted cow manure. Plant the bulbs outdoors in spring or fall, spacing them 12 to 15 inches apart and covering them with 3 to 5 inches of soil. In zones 8-10 dig up and divide the bulbs in spring every four or five years. From zone 7 north, plant the bulbs in spring after night temperatures average above 60°. In areas with a short growing season, you will want to start them in pots indoors. When frost threatens, dig up the bulbs and put them in a well-ventilated shady place on their sides until the leaves wither. Cut off the leaves and store the bulbs upside down over winter in dry peat moss or vermiculite at 65 to 70 degrees. Peruvian daffodils grow well in containers. Keep the soil moist and feed monthly with a slow-release fertilizer from spring to fall. Move the plants outdoors when night temperatures average above 60 degrees. Over the winter, keep the plants in a well-lighted room, and water sparingly. Propagate in fall from the small bulbs that develop at the base of large ones.